Unlike most traditional POS software, there are no setup fees when you sign up for Hike. Instead get instant access and a free 14-day trial. No questions asked, no credit card required. Downgrade or upgrade your plans at any time. Add additional cash registers or even outlets. Hike grows with your business. Always pay for what you use, there are no additional admin fees or penalties for making such changes. When you choose Hike for your POS software solution you won’t be charged expensive set up fees. Simply sign up on our website, connect with your hardware and you are ready to get started! Our interface is designed to be simple to use, but offering all the functionality of more complex systems. Train your employees at a time that is convenient to you using our free video tutorials and user guides that are available online, anytime. There are no charges at Hike based on number of products, product types or product variants. Add unlimited products to your catalogue without incurring any additional charges. Similarly, its free to create unlimited user and customer profiles. Hike offers built-in integrations with Xero, QuickBooks Online, Shopify, BigCommerce and WooCommerce. There are no additional charges for integrating with any of these cool platforms. Take advantage of seamless and automated data sync with your accounting and eCommerce platforms at no additional cost. There are many POS systems out there, so what makes Hike different? Designed by users, we’ve combined experiences and expectations with latest technology to create a POS software that you’d love to use. With a selection of step by step video tutorials, user guides and 24/7 support, setting up Hike for your retail business is simple. iPad set up is literally done within seconds. 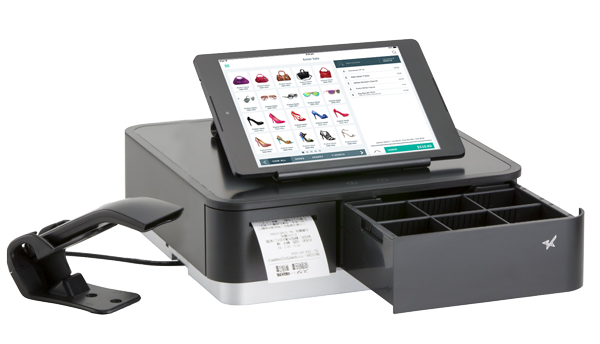 Sleek, user-friendly and functional, Hike POS gives your sales assistants the chance to shine by providing them with access to customer and inventory details at the touch of a button. Optimized for iPad, the checkout experience is made seamless. Take transactions ‘at product’, email receipts and customer loyalty information is seconds. With Hike you aren’t tied to one brand of hardware. Our software works alongside most major POS hardware solutions, call us and check if we are compatible with your existing set up. Hike also works on PC, laptop, Mac and mobile devices – basically anything with a web browser! Cloud based storage means no need for bulky space-munching servers, and you can rest assured your business data and your customer information is safe. You can sign in to Hike anywhere and anytime so long as you have internet connection, meaning you can be in full control of your business wherever you may be. just because the internet is down it doesn’t mean your sales have to be! Hike works offline and automatically synchronizes your sales once you get back online. Whether your customer wants to pay with cash, card, loyalty points or even make a split payment, Hike makes spending simple. We work with leading merchant service providers such as PayPal and Stripe, or you can choose to stick with your current merchant. Hike goes the extra mile to help you streamline your business even further. We integrate with some of the best apps the business such as Xero, Mailchimp, eCommerce and PayPal, in order to provide you with a solution that encompasses every avenue of your retail business. With Hike you can customize your reports to find out the information that is relevant to your business. Comprehensive sales, product and inventory reports can assist you in making decisions that could result in substantial growth for your business. With Hike one update to information is all you need. Whether it is customer details, sales or inventory based, once you update on one register we automatically synchronize and update them all! Real time information is available at your fingertips. No matter what time of the day or night a problem strikes or a question arises, our dedicated support staff are available 24/7. We also have a range of video tutorials and user guides available online to make sure that you have the information you need when you need it.